Zephyrhills Fall AutoFest, a collector and classic car swap meet, car corral and auction, takes place annually at Festival Park. 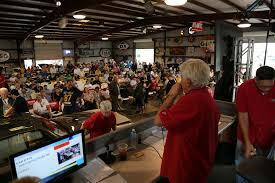 The event and facilities are located just off U.S. Highway 301 in Zephyrhills, Florida; just north of Tampa. Fall AutoFest signifies the conclusion of Carlisle’s year long event schedule but provides one final hurrah for thousands of collector and classic automotive enthusiasts. With a favorable climate year round, attendees and participants alike travel to Festival Park from all points of the globe to buy, sell and celebrate all things automotive. The event is family friendly and when onsite, you’ll marvel at the sheer size of one of the largest automotive swap meets in the world. Zephyrhills is a prime location to purchase a car within the car corral where you can deal directly with the owner or buy sell and trade with total confidence as part of the swap meet. 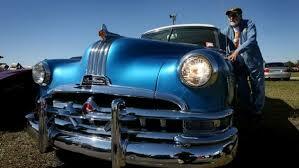 Heacock Classic will even be onsite to place Collector Car Insurance on your new classics. Finally, the auto auction held throughout the weekend provides unmatched excitement with hundreds of cars crossing the block, with Auction fees FREE unless the car is sold. With the Car Corral, Car Show, Swap Meet, and even a Motorcycle Stunt Team performing, there’s something for every car enthusiast at the Fall AutoFest.